We've been eagerly awaiting Google's exciting Project Ara modular smartphone, which lets you snap in hardware Lego-styleto build your ultimate handset, since its announcement years ago... and now we're going to be waiting even longer. The bad news was broken by the official Project Ara Twitter account. After rather cruelly tweeting “Good weekend Ara Fans? More updates coming your way! #HappyMonday”, the account made it a #NotSoHappyMonday by revealing Project Ara would not be showing up as planned in a market pilot in Puerto Rico. Instead Google will be looking at a new location now in the US to finally show off its DIY smartphone – but it won't be this year, being pushed to 2016. By which time we'll probably have flying cars and holographic faces. TOO LATE, GOOGLE. A series of Tweets followed, announcing 2016 as the new launch year, along with a knowing hashtag of #yeswearelate. That cheeky little wink might not appease those of us who were looking forward to snapping an Ara together sooner rather than later, but at least Project Ara offered an explanation. According to the Project Ara Twitter account “Why? Lots of iterations... more than we thought.” Essentially it looks like Project Ara is a bit too ambitious to launch this year. 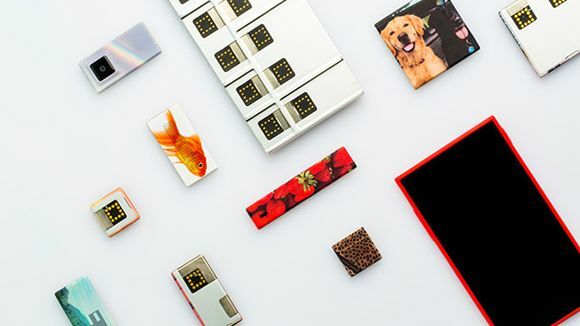 Although we're disappointed that we're going to have to wait even longer to try Project Ara out, we'd rather Google took its time perfecting the interesting new tech and getting it ready for prime time, rather than rushing it out of the door.